Evidence of severe threats to the recently discovered importance of the area for marine mammals was revealed in the ‘80s by the scientific community, and highly covered by the national and international media. The need for the establishment of an international MPA, despite legal difficulties (>50% of proposed MPA in ABNJ), was emphasized to highlight the conservation shortcomings of customary law in a proposal named “Project Pelagos”, presented to the international community in March 1991. Declaring a high sea protected area to protect marine mammals from rampaging human threats A destructive fishing practice was causing unsustainable mortality levels in many of the area’s marine mammal populations. The establishment of an international MPA would have addressed the problem, but most of the area was outside of any national jurisdiction. Building block are clearly interconnected in temporal and logical succession. Scientific action (in this case, NGO-based science as opposed to institutional science) detected the problem, civil society brought the problem to political attention with the support of NGOs and the media, a solution was offered, and the institutions intervened by creating a conservation and management legal tool. The latter being judged to be of limited effectiveness, civil society and institutions need now to work together to make it more useful; this is the phase we live in now. The Pelagos Sanctuary Agreement has attracted international attention to the plight of Mediterranean cetaceans. This has stimulated: a) substantive field research efforts which have produced new ecological knowledge of cetaceans in the area in subsequent decades, specifically as it pertains to the identification within its boundaries of what will soon be considered Important Marine Mammal Areas (IMMAs); and b) a prominent visibility of the ecological importance and uniqueness of the area, a driver of subsequent processes leading from widespread concern to conservation efforts. The negotiations on the Pelagos Sanctuary have stimulated the inclusion in the parallel negotiations on the revision of the Barcelona Convention Protocol on SPA and Biodiversity (signed in 1995) of a clause allowing Parties to establish SPAMIs (Specially Protected Areas of Mediterranean Importance) in the Mediterranean high seas. As a consequence, upon its declaration, the Pelagos Sanctuary became the world’s first MPA on the High Seas (ABNJ). The Italian driftnet fishing industry honoured the drift-net ban but the French industry, even after France signed the MPA designation, persisted and had to be stopped through EU law. In the 1990s, data from Italy's national stranding network revealed that the Ligurian Sea was the theatre of a cetacean massacre of unprecedented magnitude due to the perverse practice of fishing with driftnets. As hundreds of vessels from southern Italy invaded rich northern summer fishing grounds in pursuit of swordfish, they were placing tens of thousands of km of deadly nets in the water every night – fully encouraged by the FAO. The nets impeded navigation and killed many protected species such as cetaceans and devil rays. Thus came the idea of creating an international marine protected area in the Ligurian Sea to preserve the entire pelagic ecosystem, where not only driftnets but also other human activities were presenting threats to cetacean survival. 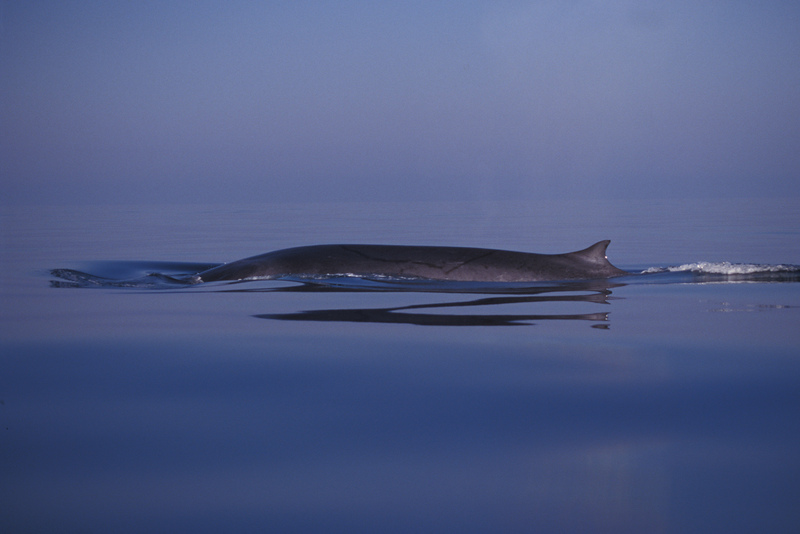 At the time, mainstream legal thinking dismissed as laughable the idea that international waters – such as those that contained most of the cetaceans’ critical habitat in the Ligurian Sea, beyond 12 nautical miles from the baseline – could be protected. With sponsorship of the Rotary Club, which was instrumental in raising the attention of Prince Rainier III of Monaco, and together with Fabio Ausenda from Europe Conservation (an NGO), I drafted a document, called "Project Pelagos", which proposed the creation of a large cetacean sanctuary in the area. In March 1991 the proposal was presented in Monaco to Prince Rainier III, who endorsed it and helped make it happen. For 8 years, the Sanctuary concept made slow progress through bureaucracies, surviving thanks to the support of World Wildlife Fund (WWF) and Greenpeace, until formal agreement of the “Pelagos Sanctuary for Mediterranean Marine Mammals” among France, Italy and Monaco was signed in Rome in 1999. The Sanctuary became the world’s first High Seas MPA, and thus met with much acclaim in the marine conservation community. Unfortunately, in the 17 years since its creation, Pelagos has failed to fulfil its goal of significantly improving the conservation status of the area’s cetacean populations, mostly because of the lack of political will to establish a proper management body. Yet the notion of Pelagos is alive in the minds of local people who believe that the area is protected. A growing number of French and Italian coastal towns have proudly formalized their partnership with the Sanctuary, while scientists from both countries continue to work hard to build robust ecological knowledge of its mammalian fauna (Giuseppe Notarbartolo di Sciara]. This solution is published in the Marine and coastal and Protected areas portal.